Dalla Riva "revolutionizes" Italian basketball: now also markings in black! Dalla Riva “revolutionizes” Italian basketball: now also markings in black! 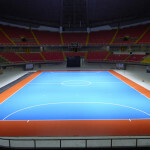 Dalla Riva Sportfloors can legitimately be considered the absolute forerunner in the field of sports flooring. After countless, innovative proposals, this time, the company based in Montebelluna, in collaboration with EA7 Basketball (Euroleague next protagonist), is ready to launch an epochal transformation in the world of Italian basketball. 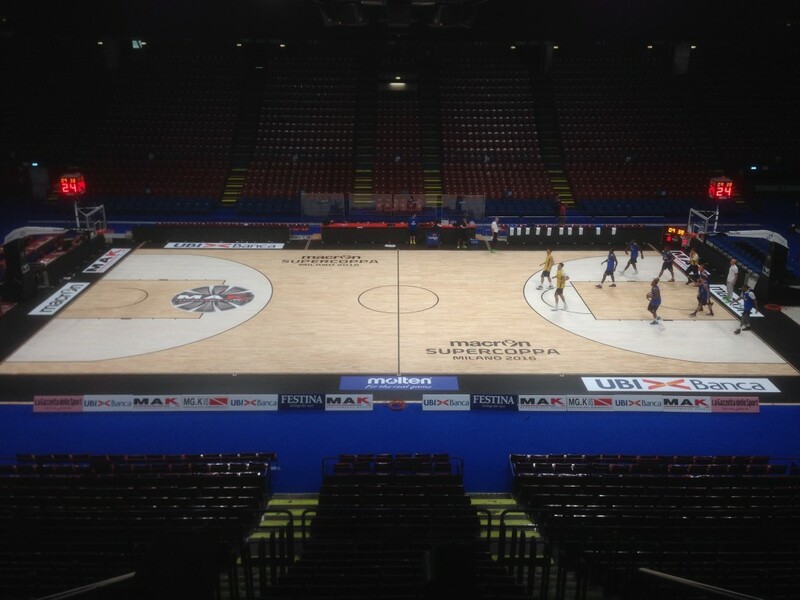 From today, in fact, the tracing of the basketball court of Mediolanum Forum in Assago become black! That’s right, no more white lines as has always imposed by Federbasket, but black in color as we have seen for some international competitions. This is the first time ever in Italy, a change intended to create the precedent for excellence and make jurisdiction in the sport of baskets. 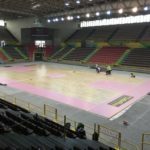 The futuristic change will be adopted for the first time in the “house” of Alessandro Gentile and company that will debut on the new sports parquet “black lines version” at the “Italian Super Cup 2016” scheduled for 24 and 25 September; the opponents of EA7 Milan will be Vanoli Cremona, Sidigas Avellino and Grissin Bon Reggio Emilia. In addition to lines editing, on the floor of the Forum, the DR brand has made other original works that will contribute to make the parquet of the sports hall of Assago (Milan) truly unique in its kind.